Jude is a theatre director and producer with over 100 productions to her name, many of them award winning. She founded the West Yorkshire Playhouse (1990) and Metal (2002), and was appointed Artistic Director of the Southbank Centre in 2005. 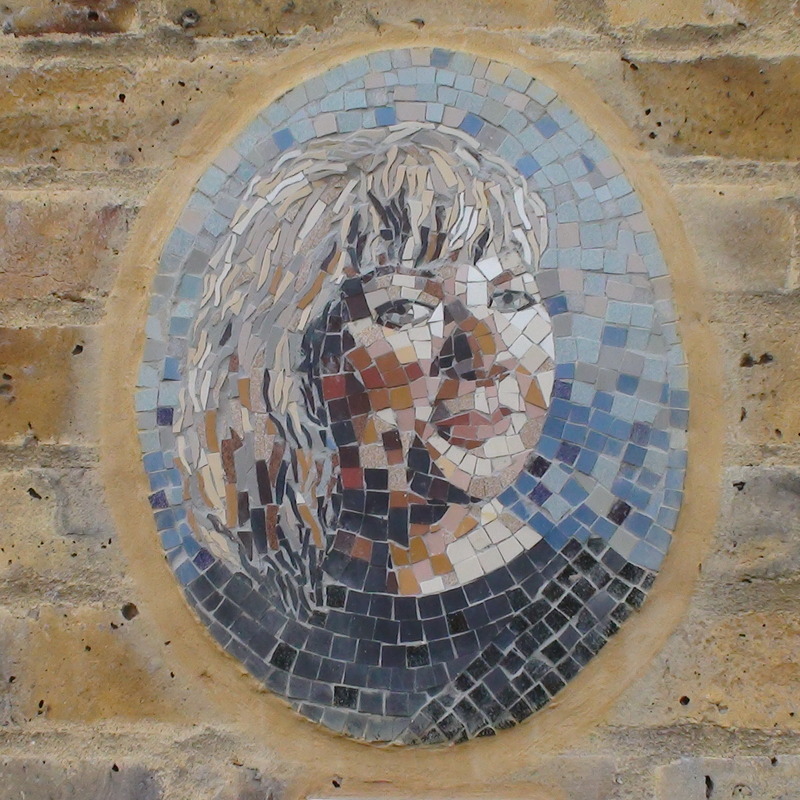 These 10 portrait mosaics are the result of a project by Morley College to celebrate the achievements of significant women who have lived or worked in the Waterloo area. Left to right: Thrale, Seacole, Mallett, Hill, McCall, Szabo, Mellor, Kelly, Rabatts, Bell. There is a small label under each mosaic which we have transcribed. Many of these portraits seem to have been installed at a slight tilt; for our photos we have set the worst offenders upright. See also another 4 portrait mosaics on the Westminster Bridge Road side of the college. The bust is in the entrance to Stephens House.